Ringing Bells Freedom 251 is currently not available in any stores. Indian Smartphone manufacturer Ringing Bells has introduced world’s cheapest smartphone priced at Rs. 251 which translate to $3.65 in USD. This adventurous pricing grabs everyone attention and it is even cheaper than 1GB 3G data which on an average roughly cost around Rs. 255 bucks. Here’s everything we know about Ringing Bells Freedom 251: its features, specification and Price in India. Freedom 251 wears with 4-inch qHD IPS display which is touch sensitive and has a resolution of 950x540pixels. The phone is powered by a quad-core SoC clocked at 1.3GHz. The manufacturer has roped in 1GB of RAM for a smooth multitasking experience. When though it only costs less than $4 makers didn’t fail to include an optical lens in the phone. It comes with a 3.2-megapixel primary shooter at the rear side and features a 0.3-megapixel VGA camera at the front for selfies. Freedom 251 supports single GSM SIM and also includes Wi-Fi and Bluetooth as connectivity options. For music lovers, it comes with FM radio tuner. It runs on Android Lollipop 5.1 and comes with 1-year warranty. The company claims to have 650 plus service centers across India. Many essential apps like Whatsapp, Women Safety, Google Play, Facebook, Youtube, Swachh Bharat and others comes pre-installed in Freedom 251. 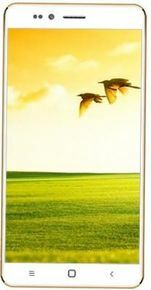 Buy Ringing Bells Freedom 251 online in India for Rs. 251. Its very nice.... But please Never raise the price. Because there are many more people who can&#39;nt afford to buy like these specification mobile. Its cost Rs 99 is very perfect for everyone. And thanks for this price and its specification. Its very nice.... But please Never raise the price. Because there are many more people who can'nt afford to buy like these specification mobile. Its cost Rs 99 is very perfect for everyone. And thanks for this price and its specification. Not placing in the market. Great deal in cheap price. Good handset, good features, good campatibility, etc.